Are blog comments worth the effort? A few years ago one of the most recommended marketing tactics you could use was commenting on other blogs. Blog comments had two benefits for those writing them. Firstly it gave great marketing real estate for the business and secondly it created an inbound link. The higher the rank of the website; the more valuable the blog comments were. The problem with this known fact is that those who ran link farms and link spam networks wanted to take advantage. What occurred was a war between blog owners and spam bots for control of the blog comments. One of the major reasons for spam control was Google penalised sites which hosted spam comments. Therefore, while you may not encourage them, you could be the one penalised by Google. As the war continued both spam bots and the tools to differentiate authentic blog comments from spam evolved. Then Along Came A... Penguin? Then Google switched targets. Instead of targeting just the sites participating (willingly or not) with link spam, sites receiving the inbound links were also targeted. Google’s Penguin update punished a number of businesses who had previously relied on other blogs for traffic. Since the update, I have noticed a significant reduction in the number of link spam comments on blogs I help to manage. However, I have seen a new style of spamming; asking readers to search for a company directly on Google. This new tactic however is easier to spot and only poorly managed blogs would allow these comments to pass. Why Are Blog Comments Bad For Your Business? 1. If the majority of your inbound links come from blog comments, Google and other search engines are going to penalise you in their results page. Organic searching can account for up to 75% of your web traffic, therefore it is important to stay high on the rankings. 2. Blog comments can ruin your reputation if you are allowing them to be posted on your site. Google will take note and consider your site to be a link farm. This could have you totally remove from the search rankings. 3. A poorly written blog comment on your blog or another blog can seriously harm your reputation. Blog comments are continuing on the conversation, asking questions and making valid points. Blog comments which advertise services or try to flatter the author while leaving a company’s website address looks bad to other readers and decreases the chance they will visit either site again. How Can You Utilise Blog Comments In Your Marketing? Firstly, blog comments can be used effectively in your marketing. But you don’t need a huge number of them. Instead you need to concentrate on creating a small number of quality blog comments which carry on the conversation started in the post. It is all about identifying yourself as an industry expert by putting forward valid points. If you simply think the article is good, share the content on social media. This can be more productive and can support your social media marketing. Finally don’t place a link in every comment you write; only for the high authority sites out there. Instead, you could label yourself as “[YOUR NAME], [POSITION] of [COMPANY NAME]” in the name field. This will allow the readers to find you through Google should they wish to. Alternatively link to your social media accounts like LinkedIn, Twitter or Facebook. 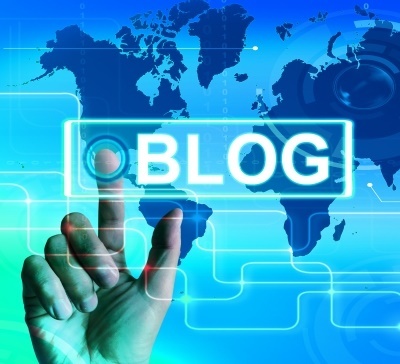 The right blogging strategy will support your marketing efforts. Steer clear of tactics which could be seen as spam or illegitimate and instead create content which adds to the value of the conversation started in the blog. Otherwise, share the comment over social media – this could gain you more followers, better recognition and greater traffic. How often do you comment on blogs? Let us know in the comments?